We “Brillianics Technologies Pvt. Ltd.” is an emerging marketing and sales arm for Indian Electronic manufacturers. Our aim is to give customers a buying edge for quality Indian electronic products manufactured in India . Banking on the skills of our qualified team of professionals, we are involved in providing a wide range of these products. Our offered products are known for their long working life and premium quality. 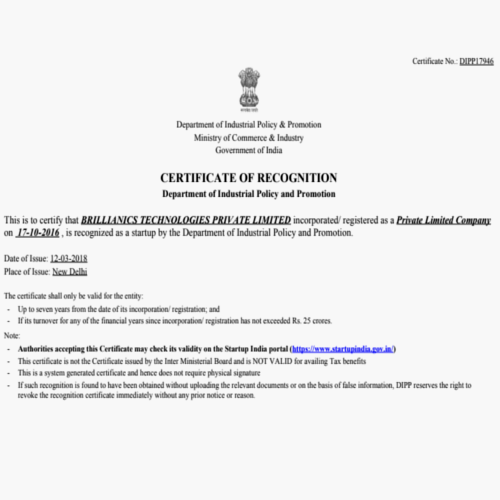 Promoters of Brillianics Technologies Pvt. Ltd have experience in trade by cutting the middlemen out in a product based distribution system. Currently Brillianics Technologies Pvt. Ltd is a friends and family funded initiative that is looking to bridge the gap between brightest minds in INDIA who create brilliant products and the smart customers. The entire range of products is procured from authentic vendors of the market. They manufacture the products as per preferred needs in fixed time frame. Furthermore, we have done a detailed market survey about their status and then we have selected them on the basis of their past records, goodwill, and economical prices. We have positioned the name of our firm in the list of well-known firms of industry by serving brilliantly to the ever-increasing demands of clients. Customer can buy products directly from our site brillianics.com.